Chapter 7 Straight Liquidation | Williams & Associates, P.C. Am I going to lose any property to the Bankruptcy Court, if I file bankruptcy? Can I eliminate the debts that I have in bankruptcy? Am I making too much money to file bankruptcy? As we go through this information, we will try to answer each of these three questions and make everything straightforward and to the point. Chapter 7 is what most people think of as “bankruptcy”. It is called a straight liquidation because the Chapter 7 trustee is looking to see if he can take any of your non-exempt property and sell, or liquidate it to give money to your creditors. This rarely happens, but it may. Learn more about what property is exempt. What Happens When I File Chapter 7? I recommend that you begin the process by visiting an attorney who regularly practices in bankruptcy. You are responsible to bring in information about your income, your expenses, your debts, and your assets. 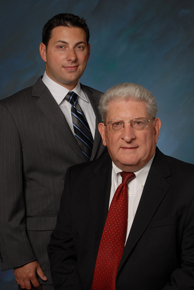 The attorney is responsible to meet with you and to educate you about the bankruptcy process. Please allow one to two hours for the initial meeting. Our office has a FREE initial consultation at (309)788-3799. Learn more about the initial meeting with your attorney. When you file Chapter 7 bankruptcy, an Automatic Stay comes into being. It is an order entered by a Bankruptcy Judge that immediately stops all pending lawsuits, garnishments, repossessions, foreclosures, sheriffs’ sales, and harassing and threatening phone calls. There are severe penalties for any creditors who knowingly violate this Automatic Stay. About a month after you file Chapter 7, you will go to court for a short 341 Meeting of Creditors. 341 refers to the section of the U.S. Bankruptcy Code. You have to come, unless you are in the hospital, or otherwise physically incapacitated. It only takes about 5 minutes, but you do have to wait in line. You will meet with the trustee who is appointed by the Bankruptcy Court to review your property. If he determines it is all exempt, or of little value, he will file an Abandonment of Property. If everything is in order, a gong will sound and heavenly angels will bear you back to your car. If there is a problem, another gong will sound and the earth will open up beneath you and your attorney. Actually, not much goes on at these meetings. Most of the work has already been done. The trustee and your attorney have reviewed your papers, and it should be uneventful. For the next 60 days, there is an even more boring waiting period during which your attorney will work to complete any reaffirmation agreements and file any necessary motions. Creditors have the right to file an objection to your Chapter 7 discharge, if they have a valid reason to do so. This rarely happens. At the end of the 60-day waiting period, you will receive a letter from the Court entitled Discharge of Debtors. At that point, the bankruptcy is over and you receive that fresh start that you and your family need. If you won’t file bankruptcy for yourself, please consider filing it for your children and your spouse. Learn more about your 341 Meeting of Creditors. Can I Discharge All My Debts in Chapter 7? It depends what sort of debts you have. Usually, credit card debts, medical debts, personal loans, and debts from car accidents are “dischargeable” which means you no longer owe the debt. Click here to learn more about what debts are dischargeable. You certainly ask a lot of questions, don’t you? Are you surfing the internet at 1:00AM because you can’t sleep because of all of your debts? THAT is a sure sign you need to file bankruptcy. The short answer is YES, there ARE alternatives to Chapter 7. A Chapter 13 reorganization bankruptcy may be the best alternative for you. Make sure that any attorney you call on prepares and files a lot of Chapter 13 bankruptcies so that you have that as an alternative. We do. We are at (309)788-3799. Click here to learn more about Chapter 13. Click here to learn more about Alternatives to Bankruptcy.